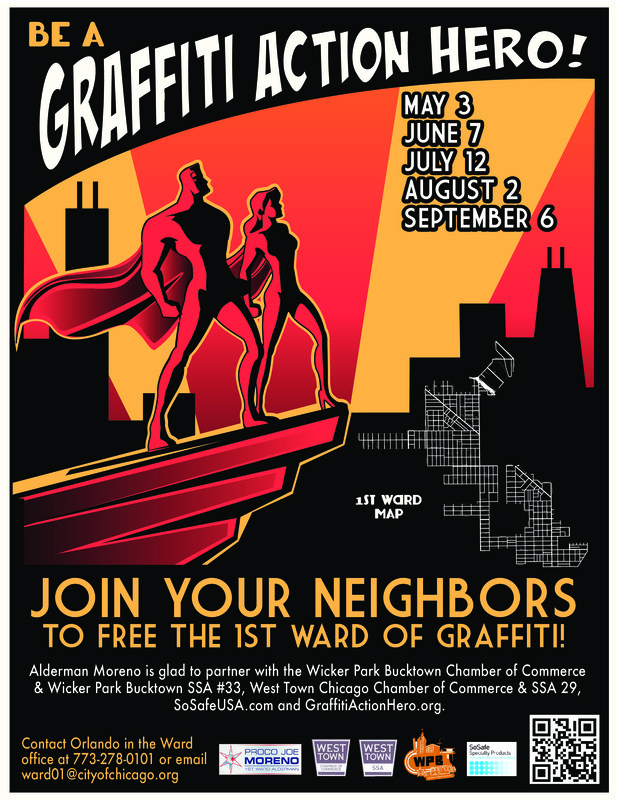 Chicago Avenue's the target of a 1st Ward graffiti cleanup Saturday. Volunteers will meet at Eckhart Park and work their way west to Damen. Ward aide Orlando Moreno says they'll be cleaning signs and other smooth services, leaving brick and other tough spots for the city Graffiti Blasters. Last month they covered side streets north of Augusta Boulevard.